Beautiful FIRST FLOOR end unit right on the water with a covered, screen-enclosed patio that overlooks the beautiful wide canal with your own Boat slip. Also includes an attached one car garage. This updated waterfront condominium is picture perfect and move-in ready. Amazing water views from the living room, the master suite, a second bedroom and from the private screened lanai. The master suite features a large walk in closet, updated bath, plus has personal access to the screened lanai through sliding door, making it perfect to enjoy the gorgeous Florida weather. The community has 4 pools, a clubhouse, tennis courts, and assigned parking. MUST SEE to appreciate! HOA fees INCLUDE: water/sewer, trash, building exterior and roof. HOA approval required before move in. Reserved Parking Space #169, right in front of the door. EXCELLENT location! 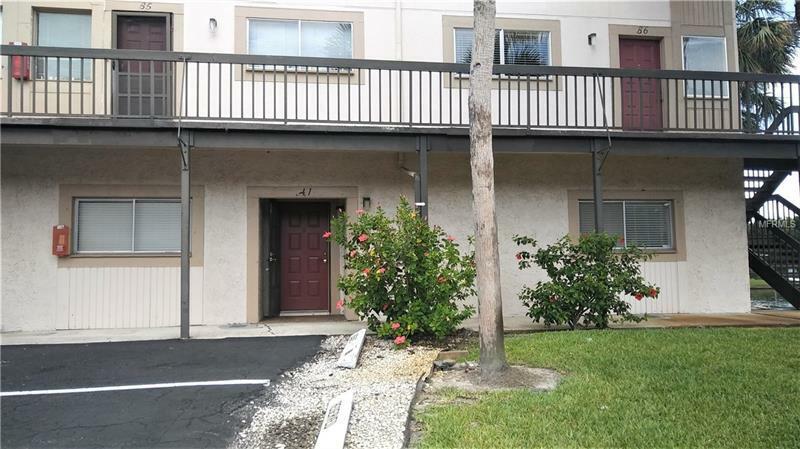 Within minutes to Beaches, Tampa International Airport, Downtown Tampa, shopping and dining. Easy access and commute to anywhere across the bay.